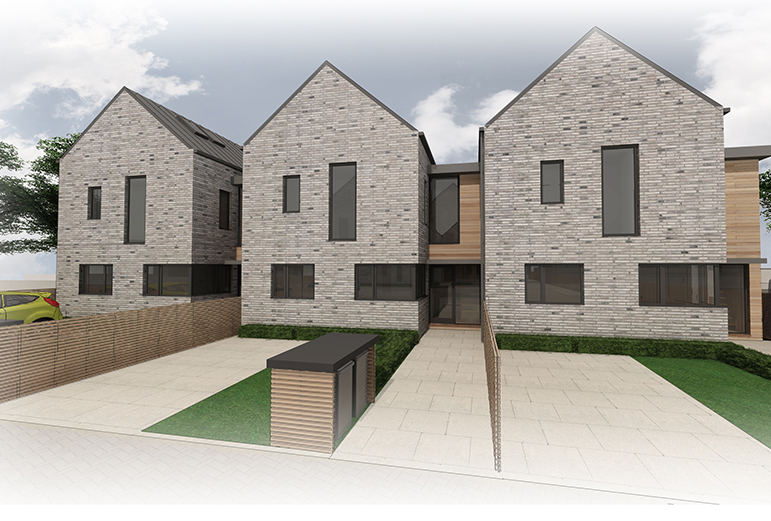 This is an exciting housing development in Epsom, Surrey. Enclosed on all sides by existing houses, this long abandoned brown field site had been left to become overgrown back land. 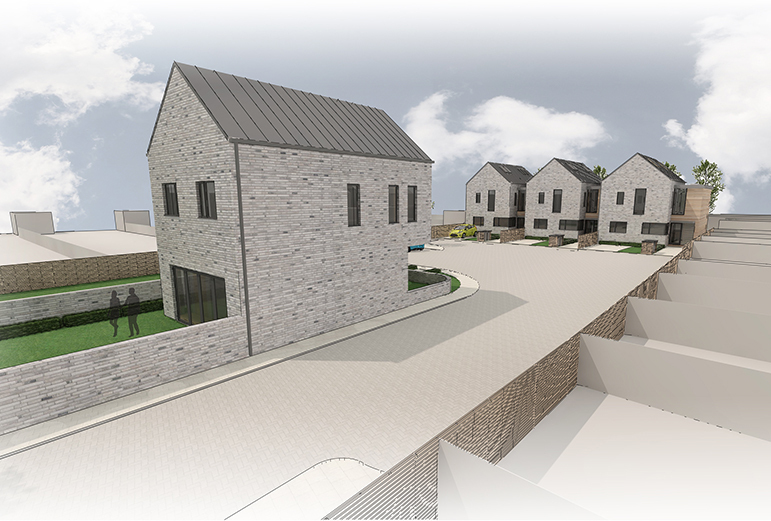 PAD saw an opportunity to create an exciting housing scheme comprising of 4 substantial 5 bedroomed contemporary dwellings. 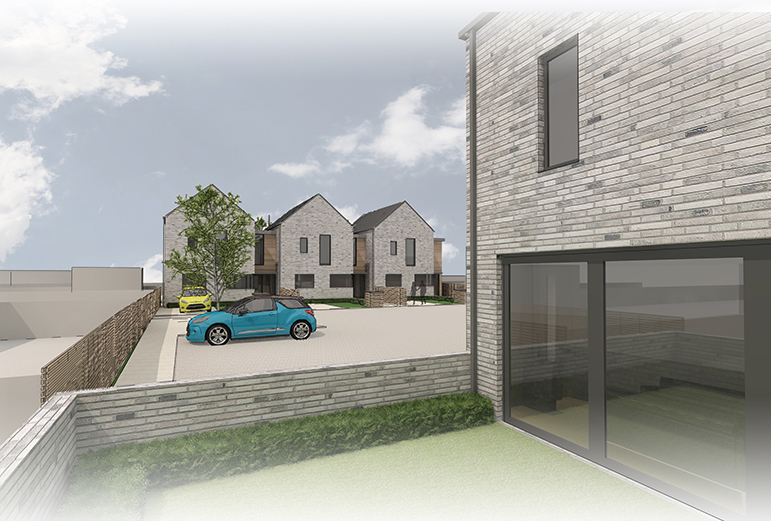 The design makes the most of an awkward site with limited access to provide an attractive development of family housing grouped around a shared courtyard space. 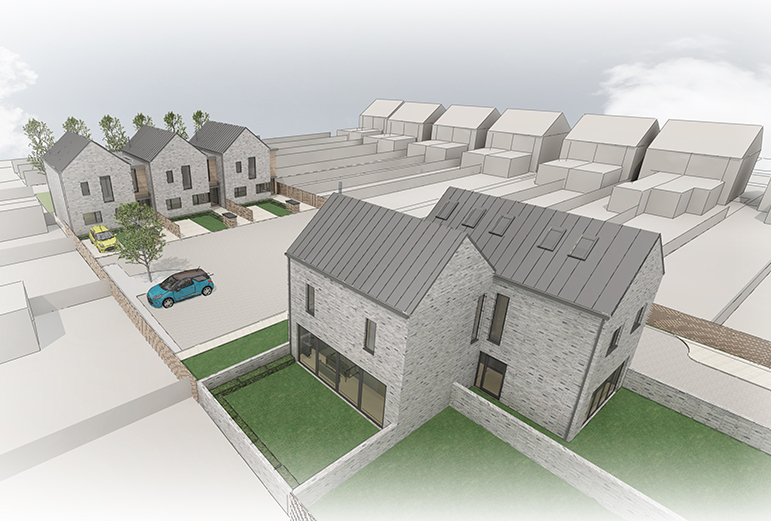 The scheme is about to be submitted for planning approval.